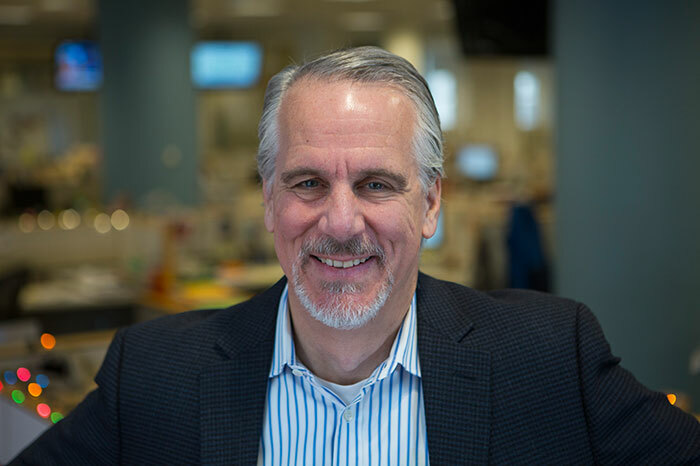 The Principia Board of Trustees is pleased to announce the appointment of Marshall Ingwerson (C’79), current Editor of The Christian Science Monitor, as Principia’s new Chief Executive. After graduating from Principia College, where he served as Editor of the Pilot and majored in English, Ingwerson joined the staff of The Christian Science Monitor. He spent 16 years as a staff correspondent in Moscow, Washington, DC, Miami, and Los Angeles before returning to Boston and making the transition to management. In 2006, while Managing Editor, Ingwerson launched a crisis management team that saw the release of a reporter kidnapped in Iraq. He has served as the Monitor’s Editor since January 2014. Ingwerson's long and distinguished career with the Monitor has uniquely prepared him for this position. He has been managing a global organization of journalists—researchers, writers, and lifelong learners—that has a similar purpose to that of Principia. In addition, Ingwerson has extensive experience working with boards, as well as leading change through consultation and consensus building in the context of a Christian Science-based organization of professionals. As Chief Executive, Ingwerson will have overall responsibility for strategically leading and managing Principia, establishing the institutional vision in partnership with the Trustees, and ensuring the effective operation of the two campuses and shared services units as a single institution. He will oversee all operations at Principia, including the School and College. Primary responsibility for the educational programs will continue to rest with the Head of School and College President. This appointment concludes a five-month search process conducted by the Chief Executive Search Committee, composed of current and former Trustees. Educational search firm Educators' Collaborative assisted with overall search-process management to ensure compliance with best practices. The search committee received many nominations and contacted more than 60 prospective candidates from 21 states and four countries. Twenty-two complete applications were received, and the search committee interviewed 14 candidates in person. Six finalists participated in two-day campus visits this fall. The campus visits included meeting with more than 100 people individually or in groups, including faculty, staff, student leaders, parents, administrators, campus heads, Trustees, and an Advisory Committee. In addition, each finalist held open meetings for questions and answers on both the School and College campuses. The thoughtful insight and perspectives shared through anonymous surveys following the finalists’ visits helped form questions for follow-up interviews. We are appreciative of all who expressed interest in the position and to everyone who participated in the search process. We especially appreciate the six finalists’ willingness to engage in an extensive and demanding interview process. The Board is grateful for the strong leadership Vice President of Finance and Operations Doug Gibbs has provided as Interim Chief Executive since mid-July 2016. His able oversight of Principia will continue through the transition. Ingwerson’s start date is dependent on the timing of his replacement at The Christian Science Monitor, but the transition is expected in April and no later than the end of May 2017.